While licensing agreements are common, they’re not something that everyone is familiar with. A lot of people don’t understand what licensing agreements are, or are confused about how they work. In a nutshell, a licensing agreement is a legally binding contract between a licensor and the licensee. 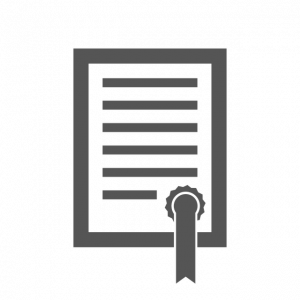 A licensor can license out a brand name, a trademark, technology, or something else they have the license to. Once a licensing agreement has been formed, the licensee is licensed to use something that the licensor has the rights to. While that sounds simple, licensing agreements can easily become complex. The licensee doesn’t necessarily have rights to use the license in any way that they want. The licensor typically has control over that. For example, a licensee may want to license a famous brand name. A licensor could grant them that license, but may only allow them to use the name on a single product. If the licensee uses the name on unauthorized products, they would be in violation of their licensing agreement. When a licensing agreement is formed, both parties have to do due diligence. The licensor needs to research the licensee. They need to make sure that they can entrust their license to them. The licensee needs to research the licensor. They must ensure that the license they are paying for has value. They should also confirm that the licensor has the rights to license whatever they are licensing. If you are interested in entering into a licensing agreement, you’ll need to work with an attorney. A lawyer can create an agreement that is beneficial to both parties. Now that you know more about licensing agreements and how they work, you’re ready to start talking to lawyers. Find a law firm that specializes in licensing agreements and see if they can help you.